VICTORIA, BC – Vancouver Island Brewery has announced that its longest running seasonal brand has returned for its 30th annual appearance. 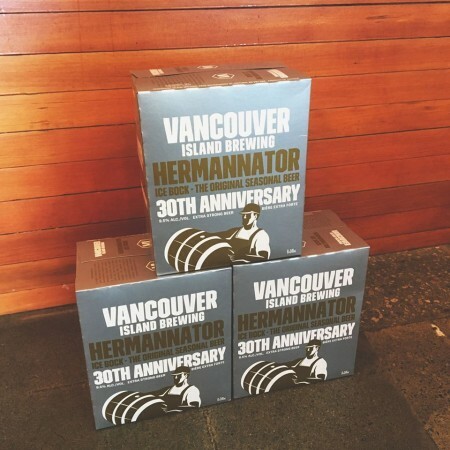 This year’s edition of Hermannator is out now in special 30th anniversary six-packs that will be available at the brewery and select liquor stores in British Columbia. It will also be on tap for $10 growler fills at the brewery tomorrow (October 7th), with the first 30 customers receiving a free glass. 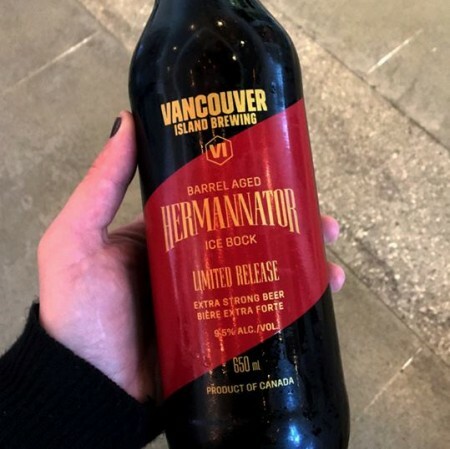 Also out now in the brewery store, and soon at select liquor stores, is a limited red wine barrel-aged edition of Hermannator, that will be available in 650 ml bottles while supplies last.